Consignaction has everything you need to recover refundable containers in your workplace and public areas. 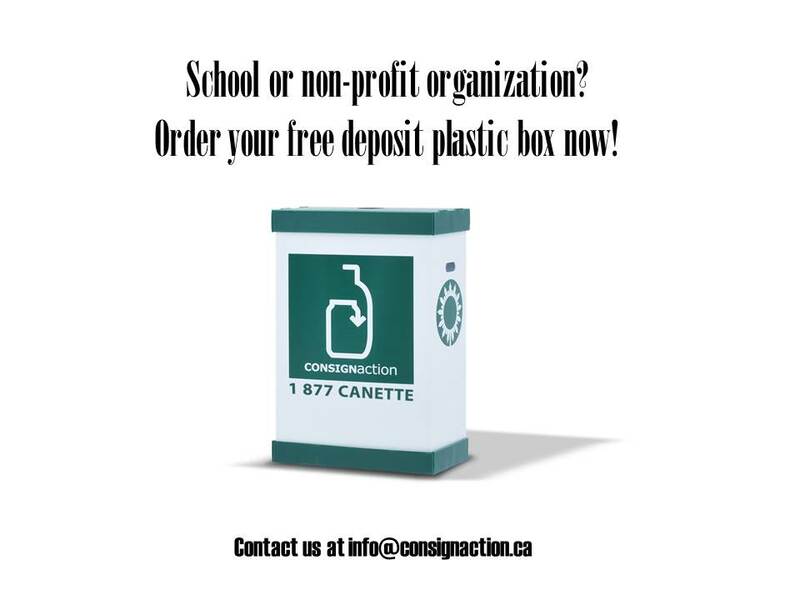 Contact us at 1-877-CANETTE or write to info@consignaction.com. Taxes not included. Delivery charges may apply. Please note that in-store prices may vary from consignaction’s prices. The online request form is now available. To schedule a pickup, simply fill out the form attached (available in French). To find out if we are serving your area or any other question, please contact us at 1 877 CANETTE or email us at: info@consignaction.ca.